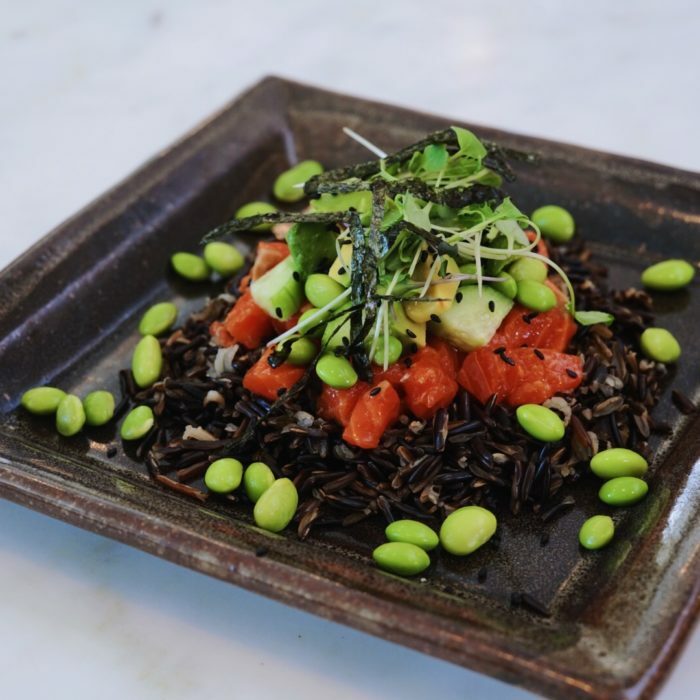 My kids love poke bowls, tartare, and all kind of asian flavored fish dishes. They like it even better when we do it family style and they can make their own! Meanwhile cut the salmon into really small cubes and toss together with the soy sauce, sesame oil and olive oil ( and wasabi if you're adding it). To make the bowls, start with the rice, top with some of the salmon, sprinkle some edam and cucumbers all over. Add a couple pieces of avocado and any toppings you fancy. You can always make extra sauce if you think it is too dry and need extra flavor, just double the quantity. Tuna, seabass or yellowtail would be delicious as well here, just in case you need more ideas!